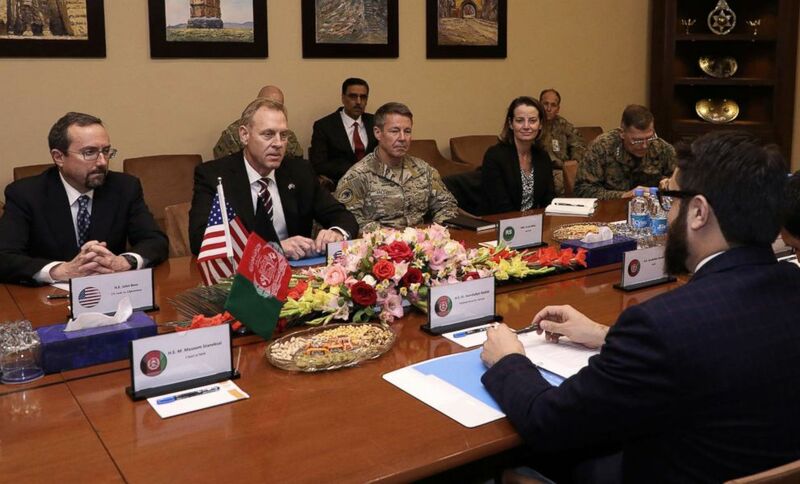 En route to Afghanistan on an unannounced trip, acting Defense Secretary Patrick Shanahan said on Monday he has not received orders from President Donald Trump to reduce the number of U.S. troops in Afghanistan by half, a Taliban demand made at recent peace talks with U.S. negotiators. 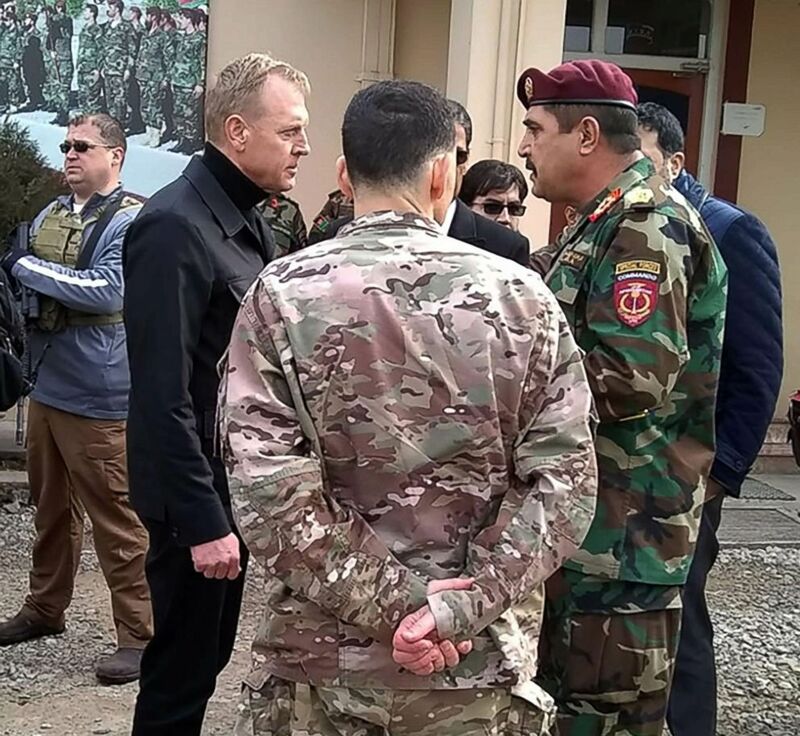 Acting Defense Secretary Patrick Shanahan, front left, speaks with Afghan general Besmellah Waziri, right, commander of the Afghan National Army Special Operations Command (ANASOC), at Camp Commando, near Kabul, Feb. 11, 2019. From left, U.S. Ambassador to Afghanistan John Bass, acting Defense Secretary Patrick Shanahan, and General Scott Miller, center right, meet with Afghan National Security Adviser Hamdullah Mohib, right, in Kabul, Afghanistan, Feb. 11, 2019. The State Department later said his claim was not true. Asked if the departure of half the U.S. troops is being discussed in the talks with the Taliban, Shanahan responded, "no". Shanahan said any future U.S. military presence in Afghanistan will emerge from the talks.